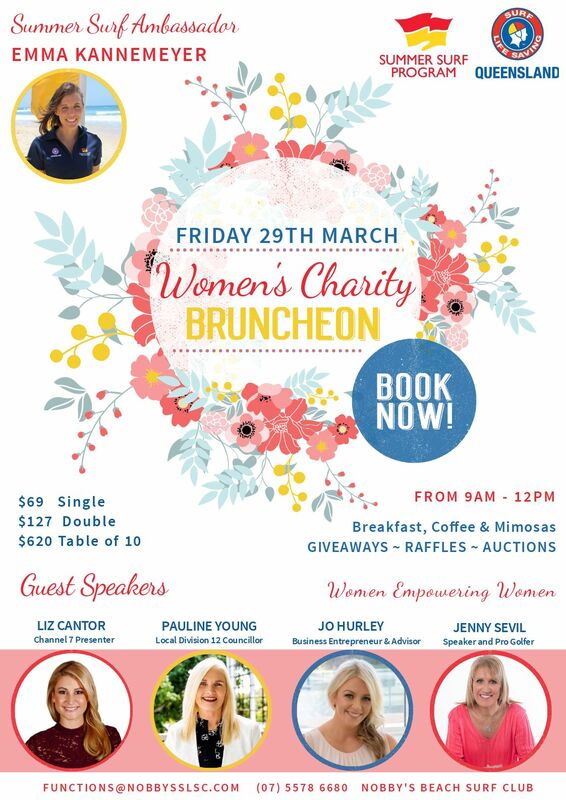 Join us for an empowering morning on Friday 29th March at our Women's Charity Summer Surf Brunch, and to support our Summer Surf Ambassador, Emma Kannemeyer! Brunch will be provided, and we'll have coffee, mimosas, giveaways, raffles and auctions! Our MC and Host is Channel 7 Presenter, Liz Cantor.